Anybody extended their front fender? Getting tired of cleaning the front of the engine over and over again. Is there a good way to extend the rear edge of the front fender to keep things clean down there? Re: Anybody extended their front fender? I use the "fenda extenda"or something like that from UK I think its been so long since I bought one. Someone like twisted throttle will sell these or just use google (ugh). Back in the 'old days' I seem to recall the *beak* being a little controversial and many bikes fitted with a more conventional front fender. Not sure where they came from but do recall seeing some that seems to wrap a little further around the rear of the wheel. 2 birds/one stone. ...on second thought after looking at my bike, they were probably just extenders that I saw. A piece of firm, U-shaped rubber glued to the inside of the fender bottom works pretty good. Another 'old skool' approach. Just back from my local Honda dealer and they have a few old bikes scattered around the showroom. I think this is a '66...maybe a Dream? 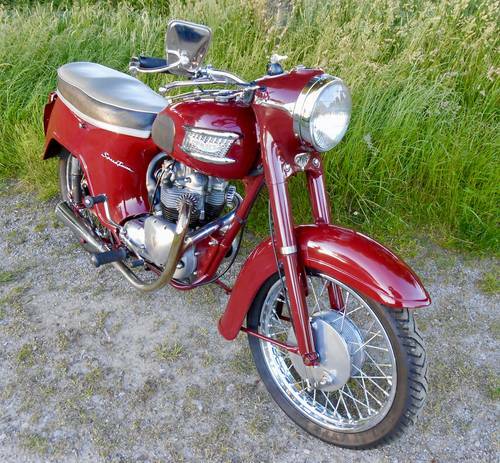 Yep, looks just like the 1967 Honda 160cc Dream I had when I was 15 in 1970. Yes . The R1150R front fender is a two piece design. front(beak) and rear. The rear section from a R1150RT will extend the rear section of the front fender.